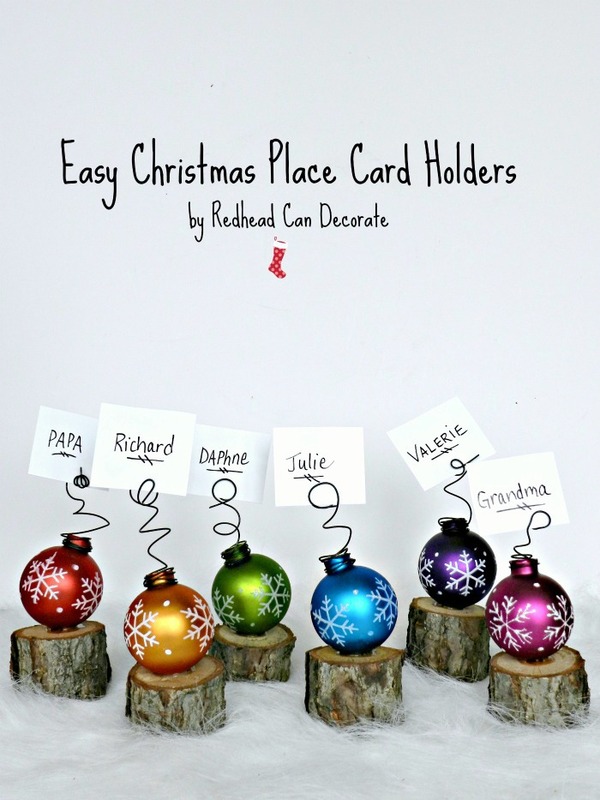 I’m having a little fun over here at redheadcandecorate.com this week. Before we get to the generous giveaways, I have a confession (and a pretty table 😆 ). After we arrived home from visiting my family in NY for Thanksgiving, I got the itch to move furniture around. I’ve had this itch for about 37 years now and it comes and goes. Luckily, I have a husband who likes to scratch. 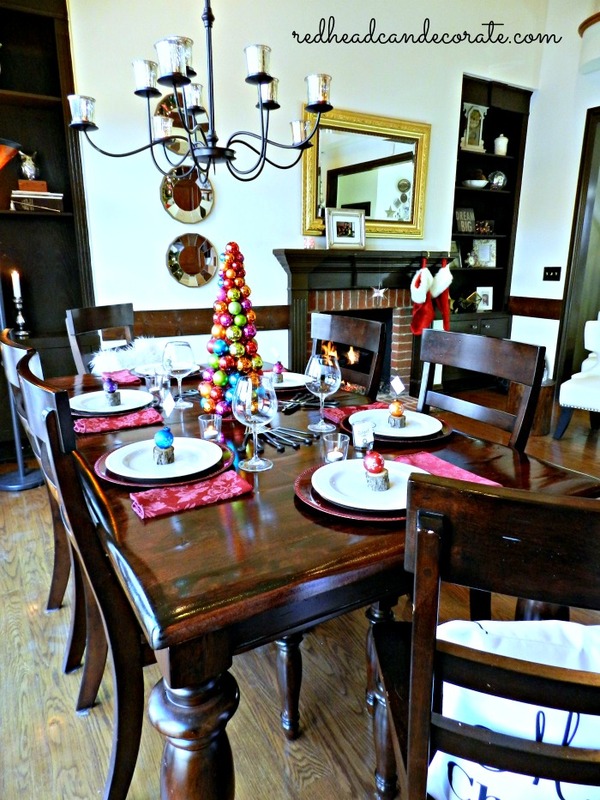 This cute “Colorful Christmas Table” is usually on the other side of the wall by our wood burning fireplace in our kitchen. 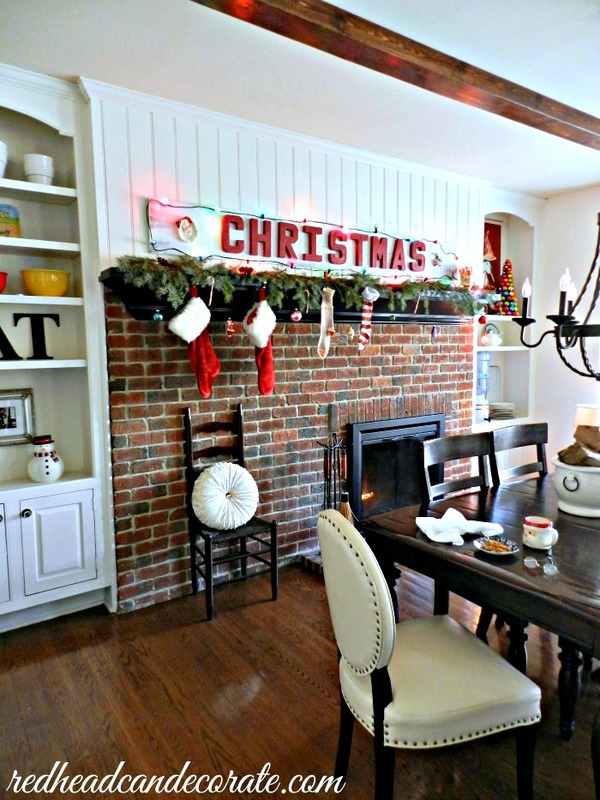 Here, let me show you a few years ago when I posted our “Vintage Christmas“…we have a gas fireplace on one side (above), and a wood burning fireplace on the other (below). That one above is a real wood burning fireplace and we spend most of our time nestled at this table because it gets pretty cold in Michigan. However, I grew tired of blogging/eating/doing everything here, and we all needed a change. So, we put on our muscles and brought that table over to the other side into our living room. I hope I’m not confusing you. To put it simply, we swapped the table and couch. Yes…yes we did. I know it sounds crazy, but trust me on this. 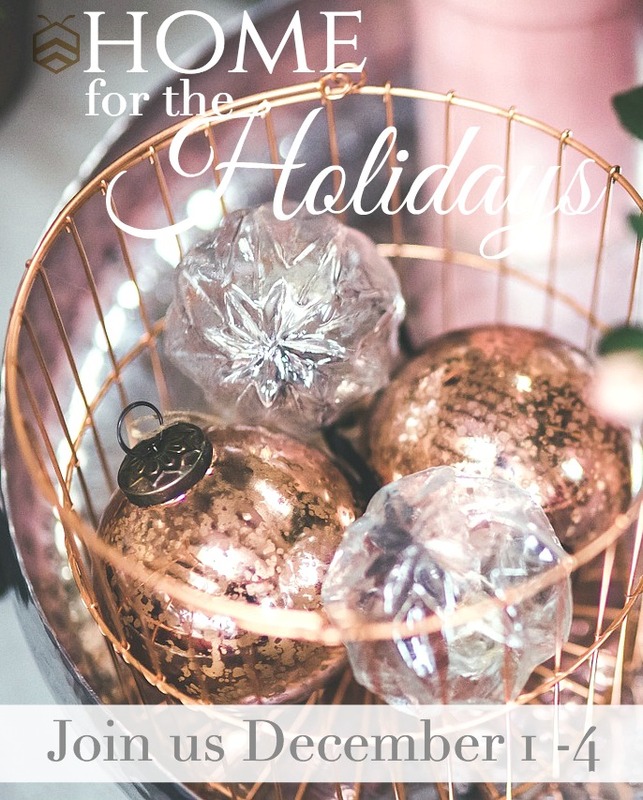 So, although you will not be able to see what the couch looks like in the kitchen until next year (that’s not that long), you will get a peek at how I decorated this gorgeous table for Christmas that we DIY refinished HERE last Summer. To be totally honest with you, I have fantasized about moving this farmhouse table into the living room for years. I knew it would look beautiful in front of our pretty windows. I was in my glory decorating it. However, I have to admit, after moving the heavy furniture and trying to explain how this was going to work to the family, I got a little tired and didn’t want to set the table. So, here’s to the lady that told me I need to learn how to set tables. I think I learned how not to worry about it. 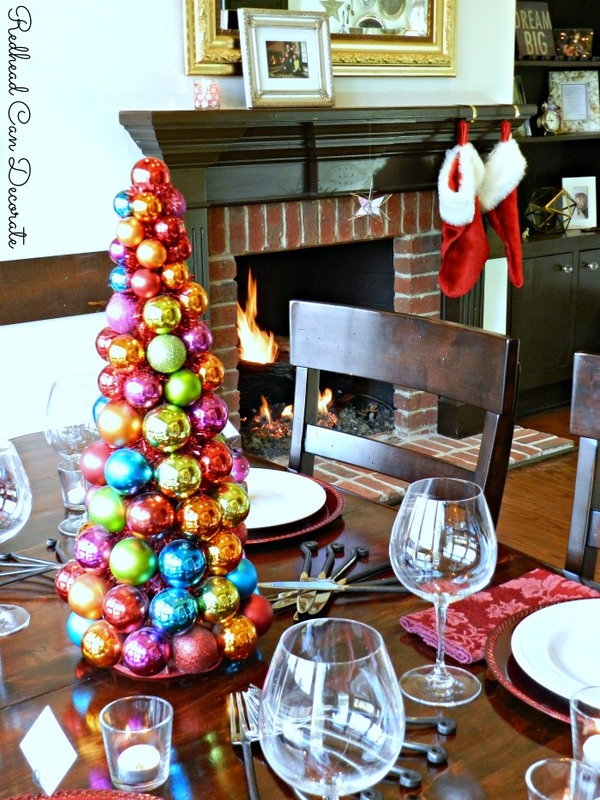 Purchase similar “Christmas Ball Tree” HERE. The best part, is that eating at this table in the “living room” is so fun. The view is beautiful, and my voice echoes when I ask for the salt. Vaulted ceilings do that. Did you happen to notice that “votive candle chandelier”? I used to have it hanging over our kitchen island a few years back before we had recessed lights. I finally found a place to put it, and I am so excited to share this with folks who really want a chandelier, but can’t have an electric one for one reason or another. This is a perfect solution. If you keep scrolling, you’ll see that we attached it to the vaulted ceiling with a very long chain. 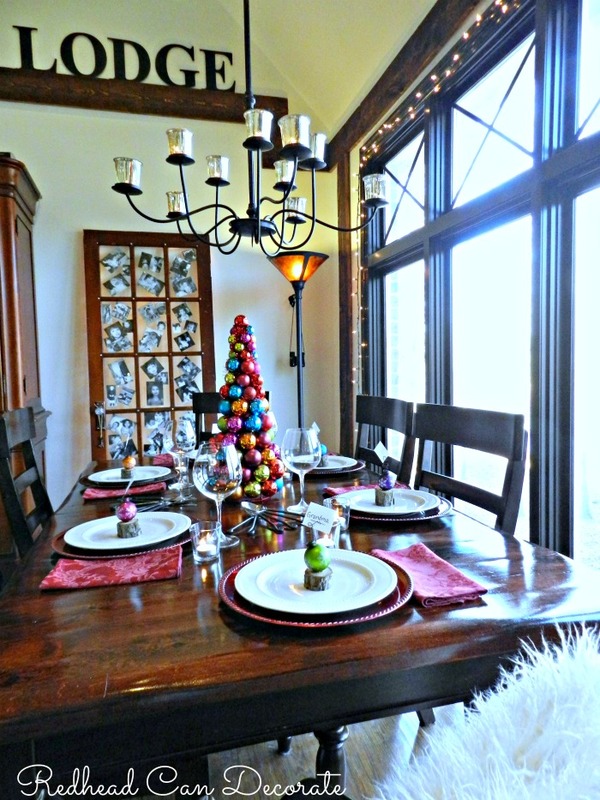 Purchase similar “Votive Candle Chandelier” HERE. You will also need this hook if you decide to hang one from your ceiling. 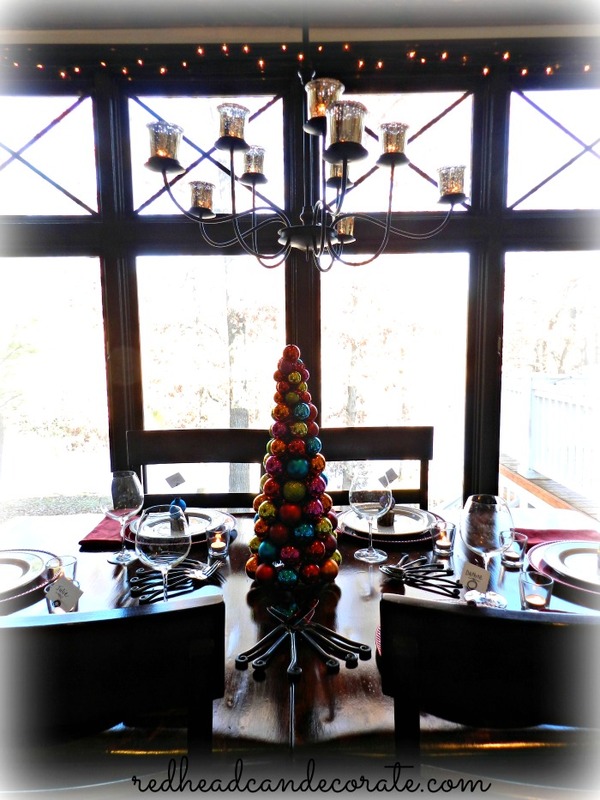 Don’t tell anyone, but here is a sneak peek of our Christmas tree right near our “Colorful Christmas Table”. 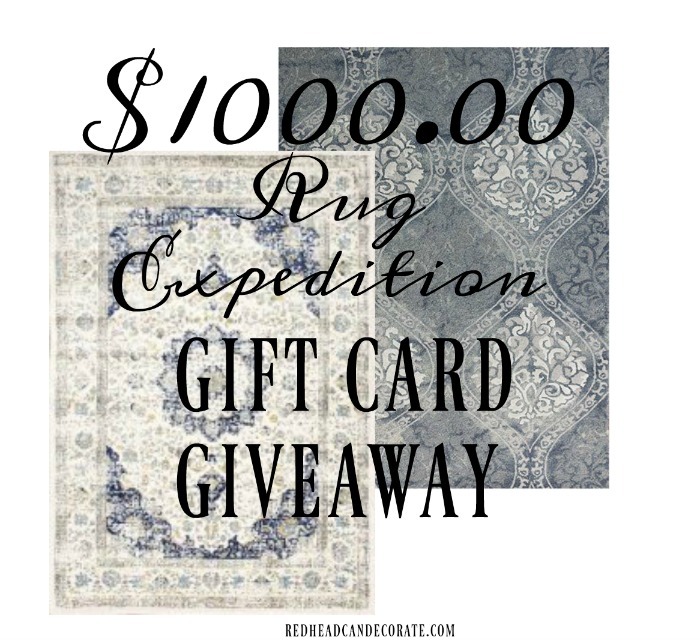 Let’s get to those giveaways! Are you a bHome follower? 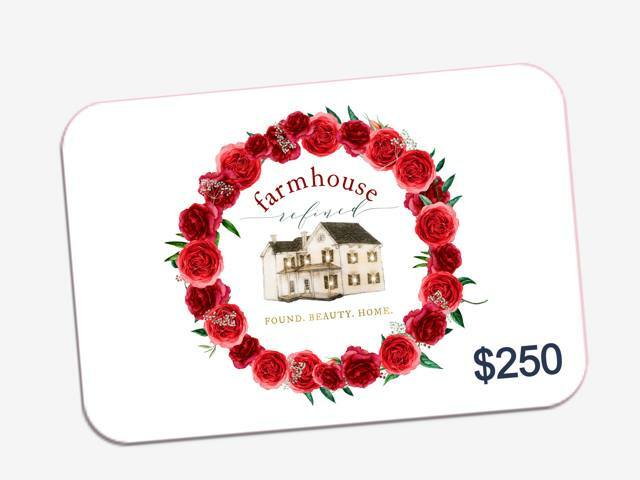 TAP the star for Farmhouse Refined you will be automatically entered. Julie, it’s so inviting and festive!! Hope all is well! Love the ornament tree idea and such a pretty tree! Julie, I love your table in the living room! Sometimes it makes the most sense to switch rooms around. ( and change is always fun, right?) 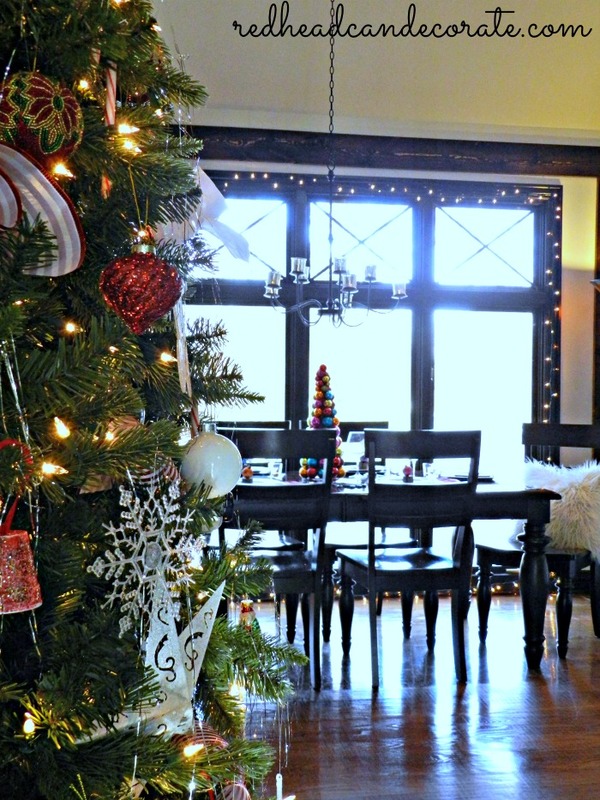 I’m excited to be part of this Holiday Home Tour with you. 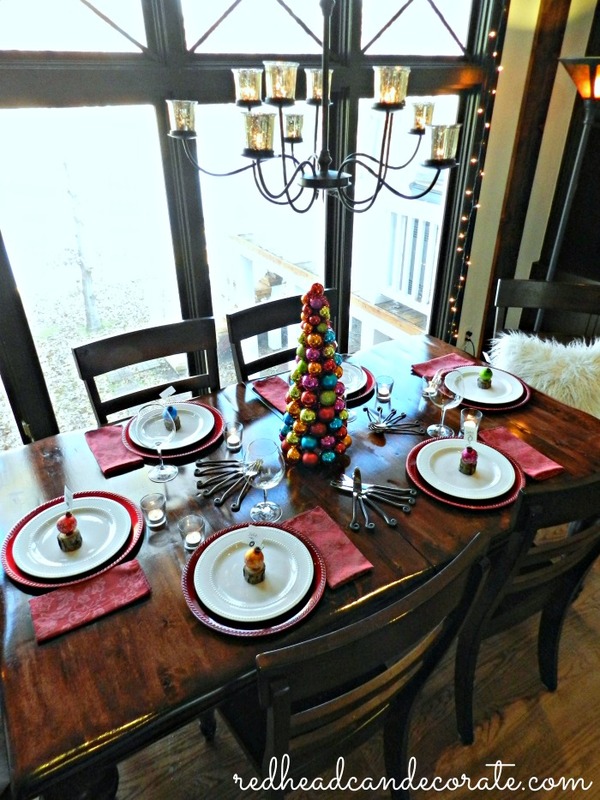 I am so loving the beautiful colors that you are using in your Christmas decor!…the table is so beautiful and festive along with the room! 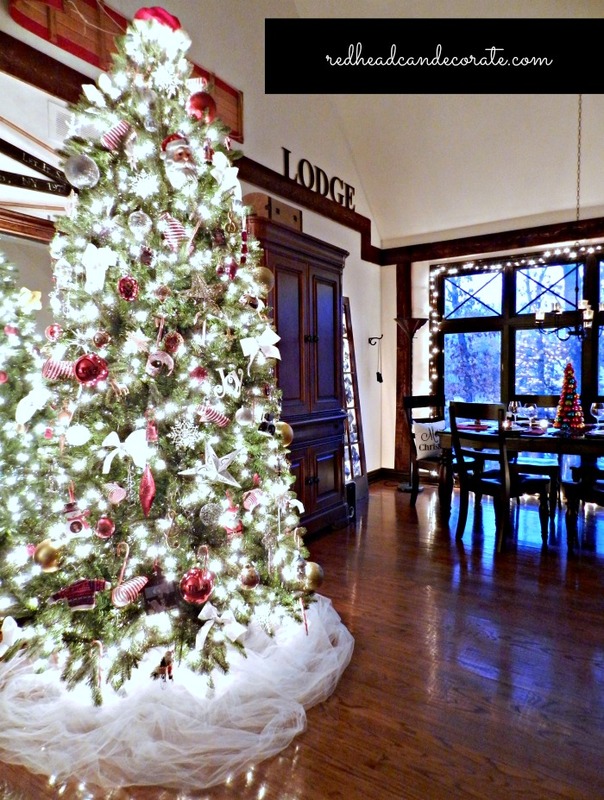 Enjoyed seeing the gorgeous sneak peek of the tree!…A majestic beauty! Thanks for the tutorial on the place card holders…they are the cutest! Merry Christmas Julie! I love all your decorations!!! I clicked on your tree centerpiece but it said the page was not found… 🙁 I would love the directions on how to make this! So pretty and colorful!! we had the same itch. i just swapped out my living room for my dining room. ha….i too have an amazing husband who scratches. happy holidays. This is so festive and beautiful!!! Oh my stars, so many beautiful creations and decorating. You are all so blasted talented and gracious ladies, so glad I found your blog. Is so exciting to see what all of you come up with on these many challenges, so inspiring. So festive Julie! I love every inch no matter where the furniture lands! Merry Merry!! Change is always good Julie and I think your table looks great in front of the window. The window looks so pretty too with the fairy lights framing it. Merry Christmas! So beautiful & festive!! So fun being on this tour with you. How fun and colorful! Perfect for the holidays!! 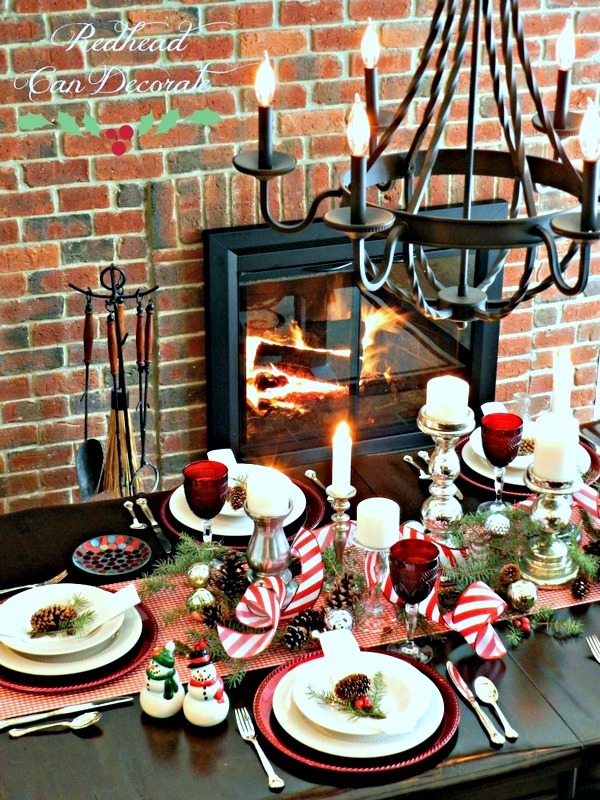 Julie, I love your festive table and oh, too have that fireplace to sit by. I can’t enter the giveaways because I am overseas but I do so enjoy reading your posts. 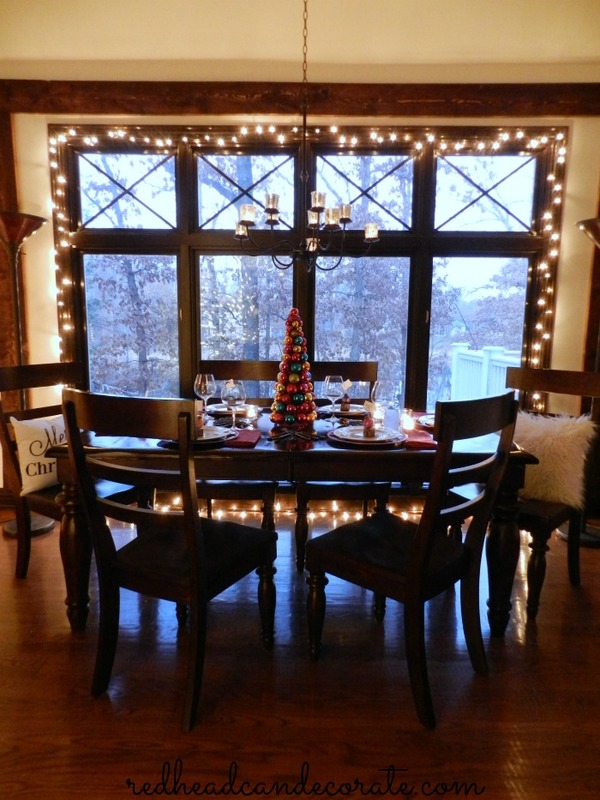 Your windows are so beautiful and I love that you have a real fire right near your table! I want to know more about the sign over the fireplace. Did you make it? (instructions please) Did you purchase it? I need to know! Whoa… A reader actually told you that you “needed to learn how to set tables” ??? I never cease to be amazed at the rudeness of some people. Forget about it!!! Everything looks amazing, even if you hadn’t “set the table”. I love, love, love tge idea you using your livingroom for more than a place for a sofa, chairs, lamp and end tables. Thank you. I also love your gorgeous christmas tree centerpiece. Heck, I love everything you create.